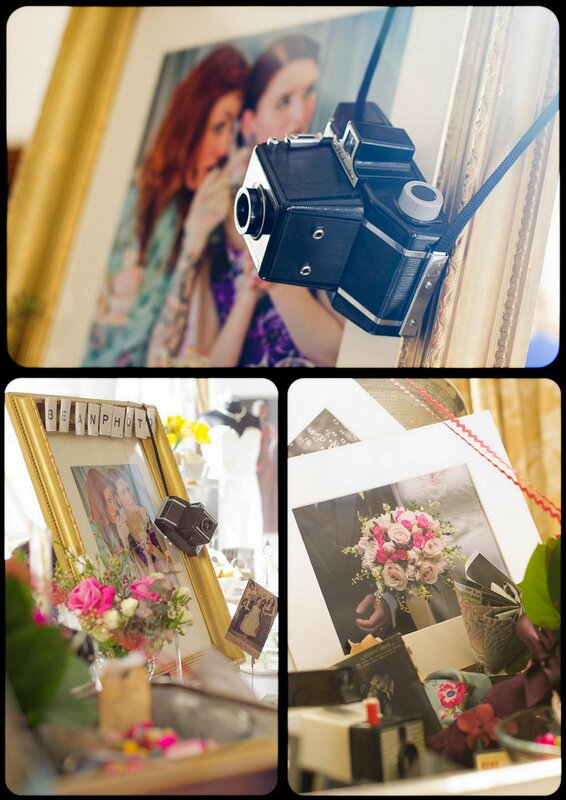 On Sunday I set up my Lancashire Wedding Photographer stall at the very lovely Vintage Wedding and Design Made Fair in Kendal, organised by Thea and Jan of Vintage Revival. I really had no idea what to expect, but given that my stall was placed next door to my lovely wife, who was there with her Itsy Bitsy Vintage (vintage china hire and vintage styling) business partner Carole, and with my old pal and fab wedding dress designer Jennifer Pritchard Couchman just across the room, along with plenty of other familiar faces on stands throughout the building, and with a cornucopia of vintage delights to please the eye I knew whatever happened I’d have a lovely day amongst friends. As it turned out, it was also a chance to meet and talk to quite a few lovely couples, greedily enjoying planning and visualising their own weddings. I’m almost pretty much booked up for 2012 (just a few dates left in spring and autumn) so I was hoping it wouldn’t be lots of enquiries about dates I’m already unavailable for, and therefore curious to see if the couples going to wedding fairs would be last minute planners or those planning beyond this current year. Turns out, it was mostly the latter, which I think shows great common sense given how fast the best suppliers are always snapped up. 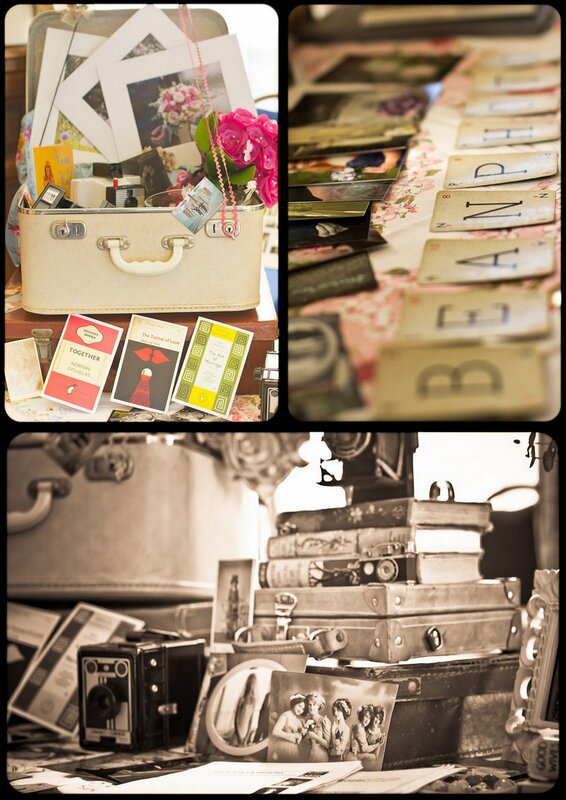 I wanted my stand to have that vintage feel in order to fit in with the whole theme of the day, but given that it’s so absolutely my kind of thing anyway, it probably won’t look much different by the time I do my next fair at Slaidburn Village Hall in March. It was also a nice chance to meet and put faces to a couple of other local photographers Andrea Pickering and Lorna Coates. I even met a couple of potential sitters for my Fifty Faces project – wowser! 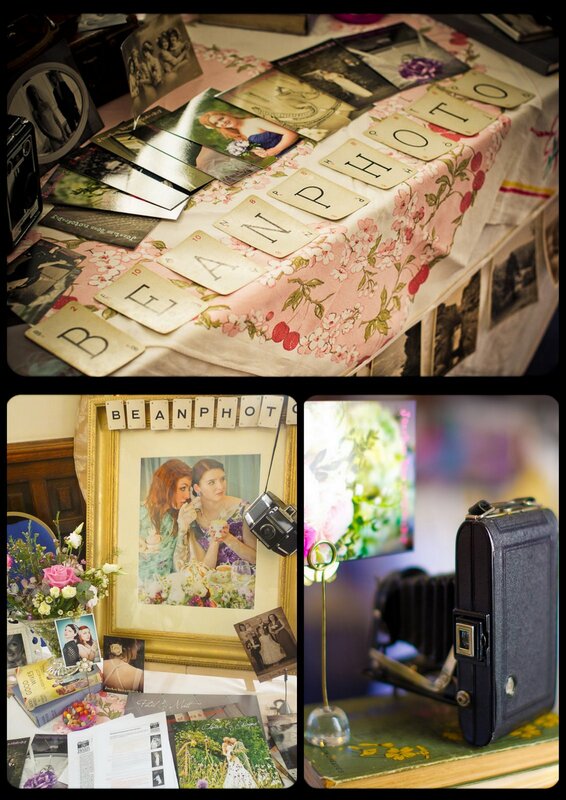 Anyway here’s a few snaps of my stand, vintage cameras, prints, old bindings, wedding albums, vintage photographs, flowers and all. What do you think? Go easy on me, it’s my first time at this!